This page didn’t allow you to edit a comment and if it also ignored plain HTML formatting used in a comment. 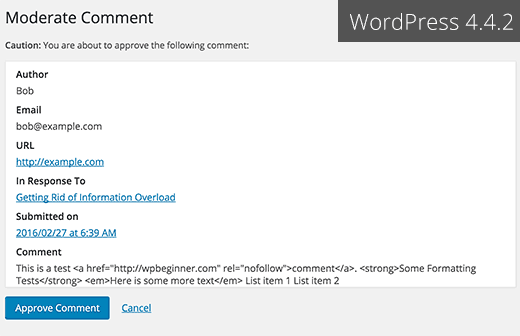 This is how the comment moderation screen looks in WordPress 4.5. 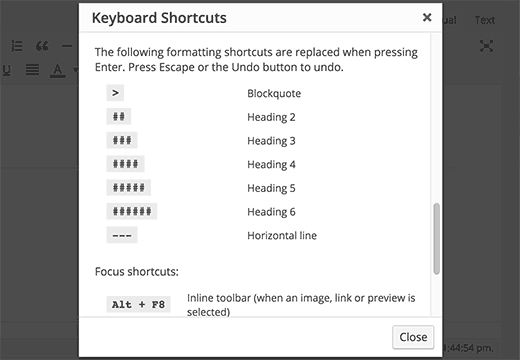 We reported in what’s coming in WordPress 4.5, that there will be shortcuts for bold and italic too. Unfortunately, those shortcut patterns didn’t make it into 4.5. Is there any way to persuade your developers to please return to the old way of inserting links? What a freaking NUISANCE the new system is! You have to jump through three hoops (at least) and half the time the da** thing doesn’t insert the link, so you have to go through all that unnecessary hoop-jump again. Your users have enough work to do without WordPress kindly adding more hassle. When I upload a new image to the website I don’t have any sizing options (thumb, small, med, large). It always puts the image in at full size. The image size I use (ideal for Pinterest) is just larger than the width of my blog posts. I’m having to manually resize them so they don’t get cut off. Anyone else with this issue or know what’s causing it? Yes. I also facing same problem. So far do you get any solution to solve the image cut off problem? Once you inset the picture into the post, click on the image and then the edit button. Under sizing you can then select “Custom size” which will allow you to input whatever size you want the image. It’s time consuming, but at least I have images that work now! Why is this not a responsive site? I think that, as far as the link editor update – first of all, not only was in completely un-necessary, but it now requires at least six extra steps if you want your links to open up in a separate tab. Yes, sure, pressing the tab, space-bar, and enter key six times does not seem like a big deal, but for someone who spends at least 10 or more hours every day pressing buttons, this is quite annoying and actually doubles the time necessary to do this simple step, and I see no reason for this “update”. Other than that, I always look forward to new WordPress updates. 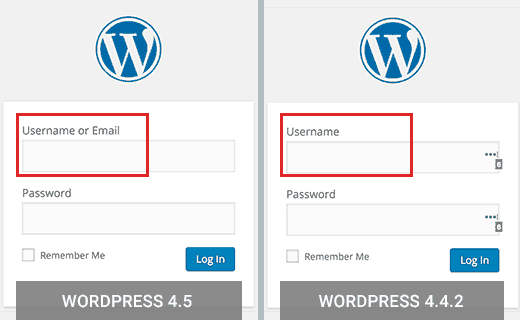 A bug in WordPress 4.5 may be causing this issue (#36545). If you are using Google Chrome, then try using Firefox. I like the new inline link editor but is there a way to make it default to “open link in new tab” instead of needing to open the settings to do it? Be aware that if you are using commercial templates e.g. Themeforest. I have several client sites broken by this update. The template developers are fairly quickly coming out with updates to fix incompatibilities but just be aware you’ll have to deal with this. Mostly have to do with Visual Composer. Backend and/or front end depending on template freezes so you can’t edit. Also, one of my template that allows a logo to be uploaded … logo disappeared until i applied an update to the template. Just take your time… and BACKUP. Inline links feature is annoying as hell. Anyway to disable this useless feature aka “BUG”? I agree completely. There’s also a focus bug that makes it extra annoying. If anyone figures out a plugin or way to disable this annoying “feature”, please reply!! It’s driving me nuts. I don’t see an advantage to log in with e-mail address instead of username but see a bigger risk to get my site hacked. Can I disabled this possibility? I do get daily trials to hack my site! I agree with Skye. People exchange email addresses, and this feature isn’t safer. Anyone knows how to disable this feature? In addition to Zach Jenkins comment, i also find the inline link editor not as nice as it was. If you put in the link name now, it puts this link name straight away into the text and i only want to see this link name when you hoover over the link with the mouse as in earlier days. We badly need better ways to manage media. A method to keep media organized into folders and sub folders. The current year / month thing is terrible. Having to scroll through hundreds of images to find something is extremely wasteful. Hope this feature gets some improvement soon. The current changes are useful, but nothing like a good media management system would be. upgraded to 4.5 and then my site will not longer accept new text or photos. I’m dead in the water on ALL of my sites now. My edit window is very small, all my text runs together and I can’t even begin to add a youtube video or a link. I hate this and hope it is fixed ASAP. In my installation it doesn’t work like that. If I Ctrl K and write the URL, It will replace the word(s) text with the URL I am typing and it won’t link at all. The whole new concept is a buggy disgrace. Hi – I just downloaded Coleman and now can’t work out how to update my theme, as it has caused some conflicts. ANy help would be appreciated. I’m still utterly waiting for nice media management, which, in my opinion, is one of the big gaps that WordPress core developers still fail to fill. A simple functionality to create folders and organize media in a more structured way would be a big step forward! Sorry, I don’t need responsive preview, I don’t need a REST API (btw. how many of you do? ), only real improvement that I see is the login with e-mail. It might be a silly question, but my site has a fully customised template. Normally it is not affected by wordpress upgrades (or theme upgrades, since it doesn’t use the wordpress standard themes). It does not use a child theme because it was from scratch. If I am reading the warning on the upgrade page and the info about the update on wordpress correctly, then it sounds like this 4.5 will overwrite custom themes? Where does that leave me? I just thought I’d ask here just to see if anyone else has any suggestions. The new inline link editor has been extremely buggy for me; erasing links, remaining open with no way to dismiss, obviously adding extra work if need to edit a link or add a nofollow attribute. I know this was made core (though I think without adequate use testing) so does anyone know of a plugin that would revert the behavior to the more advanced link editor? 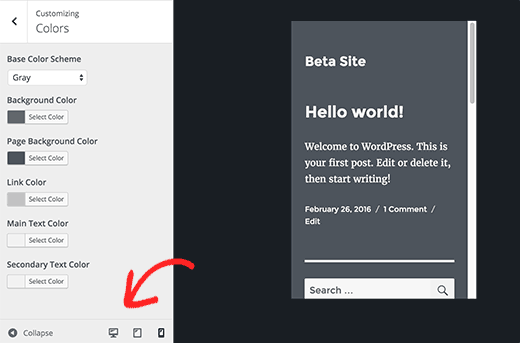 I think it was designed for those that compose everything inside of WordPress and not for those that may copy and paste the text and links from other programs and then clean it up inside the visual editor. Or if there is info to file proper bug reports to core to let them know what’s wrong or why this should be something that could perhaps be overridden with a setting, that would be much appreciated. I would appreciate some help with this too. The inline link box won’t close after I input the link — clicking elsewhere and pressing Esc don’t work and there is no X button for closing it — and I end up not being able to see the text behind the box. If I want to make the link open in a new tab/window, I have to click the gear icon. I don’t know if anyone else has this problem or if there is something else I should be doing, but personally this new feature has complicated my workflow, not improved it. If anyone has suggestions, I’d love to hear it, as I’m not a WP expert. I’m having the same issue with links. If I add a link on my site opening in the same window is fine. If I have a link to another site I always have it open in a new window/tab. This is now much more difficult to do and the popover box won’t close once you edit the settings by clicking on the gear icon. The only way I can get it to close is to start another link somewhere else and then close out of that. Hope they fix this. Yes the inline links update in 4.5 has broken my wordpress site with theme Lotus. I am unable to use the smart site builder on this theme as it blocks any new elements being added in site builder and also the inline links popup box is continually open at the bottom of my dashboard with no way to dismiss it. I’m looking for a simple way to disable this feature. 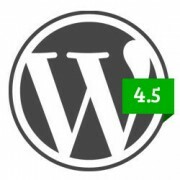 Thanx for this great article, I want to ask one thing, today I updated my wordpress blog to wordpress 4.5 and I’m not able to edit my exitising post. Can you please guide me how to resolve this? 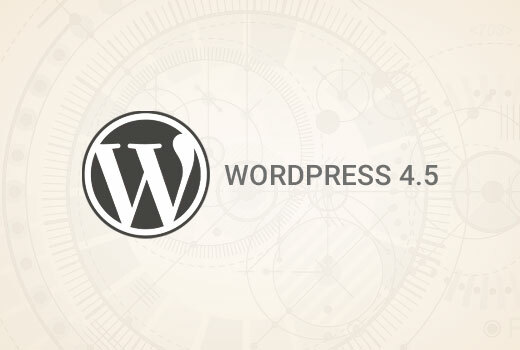 Thanx for this great article, I want to ask one thing, today I updated wordpress blog to wordpress 4.5 and I’m not able to edit my exitising post. Can you please guide me how to resolve thi? We are experiencing the same issue. There is some real buggy stuff on when I create a new post: When I put in an image the scrollbar disappears … the menu that used to pop up to edit the image tags no longer appears. It’s rather jacked up. Not sure what to do about all of this. CSS Stylesheet Editor is not working on WordPress version 4.5! I’m little bit confused about it because on my two blog same issue. Do you know what’s the actual problem? Wow such a fabulous turnaround, been using the beta versions for a while and it has been awesome, now I do not need to use developer tool to view responsive designs, as I can view it in the preview panel. Thumbs up @WPBeginner. many of us are using plugins from years but i observed that after last one year WP updates, some plugins have become almost useless but they are still part of our blog. can we disable the option of using email address to login to the admin panel? I want the login to be a unique username for the admin panel at least. For other users I already use only email as the login username and would like to keep it that way. 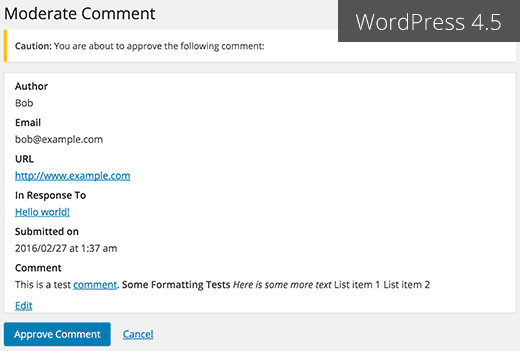 Thanks your information for WordPress update.